Most of the diskus inhalers have lactose in them. Flovent is also available as a metered-dose inhaler that does not have any lactose. My daughter has been using it for years. I think it was me. I remember being horrified that some of the inhalers had traces of corn, an allergy for my son. We gave it to him before we knew this and sure enough, he reacted, although not severely - thank goodness. We switched to another brand, which he's been fine with. Can't believe Flovent would add lactose - so strange. That's what I was thinking, but I looked back through pages and pages of Facebook posts and couldn't find it, sorry! I've said it before and I'll say it, again - medication should be labeled just like food, according to FALCPA. I also think FALCPA should be expanded to include corn, sesame and mustard! 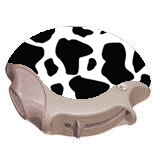 Looking for info on milk derivatives in xopenex HFA aerosol inhaler. My daughter is ana to dairy with off the charts IgE levels. We have experienced anaphylaxis from pulmicort flexhaler. You are not crazy. Almost everytime something is prescribed, we have to go back to the drawing board. Doctors are very uneducated on inactive ingredients. Even the specialists. It's the dry powder inhalers that typically contain the lactose, but of course we have to check every medication, every time! Right now, my daughter is also on Qvar, which is also an MDI and it does not contain milk proteins. It's a daily maintenance medication. Grace - I am SO sorry, your comment slipped through the cracks. I am also sorry the same has happened to you, but I am glad my post helped you discover the error! It also took a few rounds before the allergist's office came up with a safe option for my daughter. She is currently on Qvar. I agree that the options are narrowed by this problem, for those of us with milk-allergic children. Lactose isn't a protein, it's a sugar. Caseins are the proteins found in milk, so I think it's important to distinguish between a milk intolerance (to lactose) and a true Ig-E mediated allergic reaction to milk PROTEINS which can be life-threatening. The last one is VERY rare. Jen - Yes, I addressed that distinction in my post: "I understand that her anaphylaxis risk lies in the milk protein and not in the lactose, but they cannot guarantee me that there will not be traces and it would be too great a risk for her to possibly inhale a trace of one of her top allergens straight into her lungs." 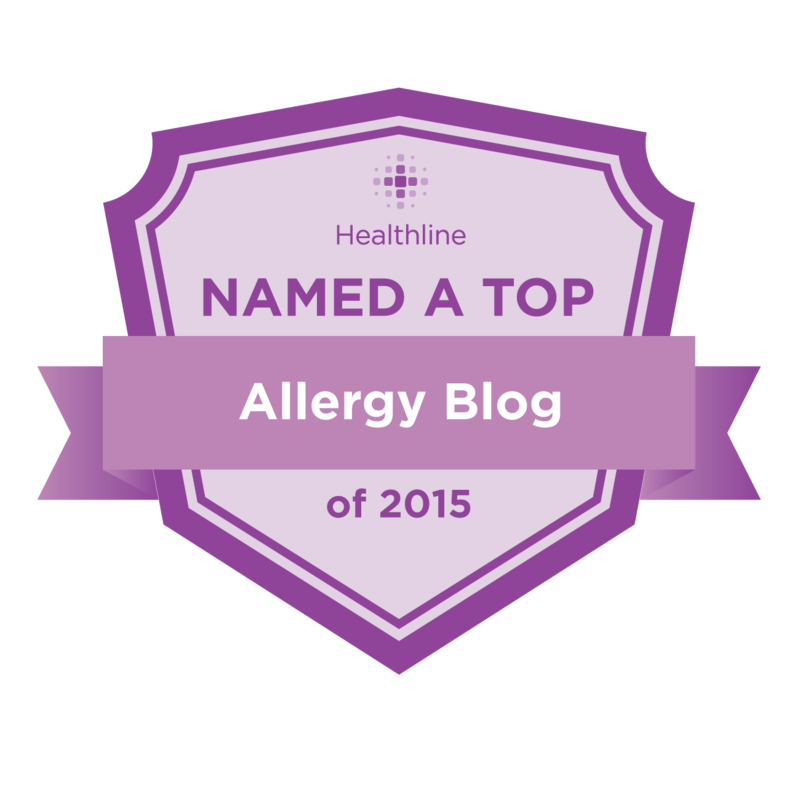 It might be rare, with estimates of prevalence in around 1-2% of children in the U.S., but my blog is geared towards the population of people with anaphylactic food allergies, so it's a very important issue for us. Recently had the same issue when prescribed Advair - will stick to Flovent MDI! Thank you for all your comments, I never reply to these threads but it's been a rough go with my daughter's 'reactive airway' and glad to know I'm not alone. Jen, we all understand the difference between a lactose intolerance and Ig-E mediated reaction - we live daily with fear for our milk-protein allergic children in a dairy-obsessed society. I would love it if she were merely lactose intolerant. So glad you have posted this, as we ran across this issue last year. And now the insurance company will no longer cover Flovent inhaler (not diskus, as above). QVAR is one of the alternatives, and though I didn't see lactose as an ingredient on their prescribing information, it helps me to see it confirmed by an advocate. My son is milk allergic and also allergic to baked milk. He never outgrew it. Thanks again! A quote from the article: "Pharmaceutical grade lactose contains small amounts of milk protein." Years later this discussion is still relevant so thank you, Selena, for your post!